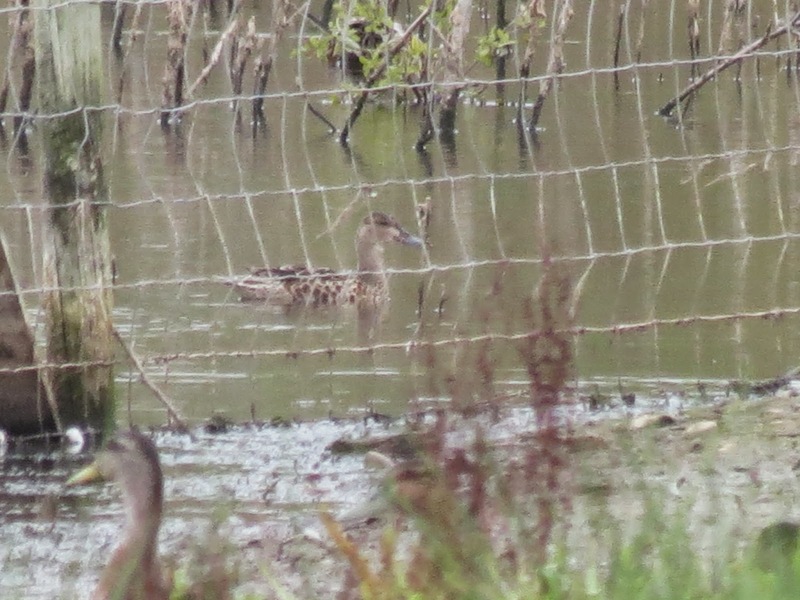 Took a trip out west yesterday to twitch Brian Stretch's eclipse BLUE-WINGED TEAL in Worcestershire at Grimley New Workings, just east of the A443. It was drizzling as I arrived and the bird had been flushed off by a dogwalker. I decided to investigate and after soliciting local expertise, followed a footpath down into the valley to check the pools further along. 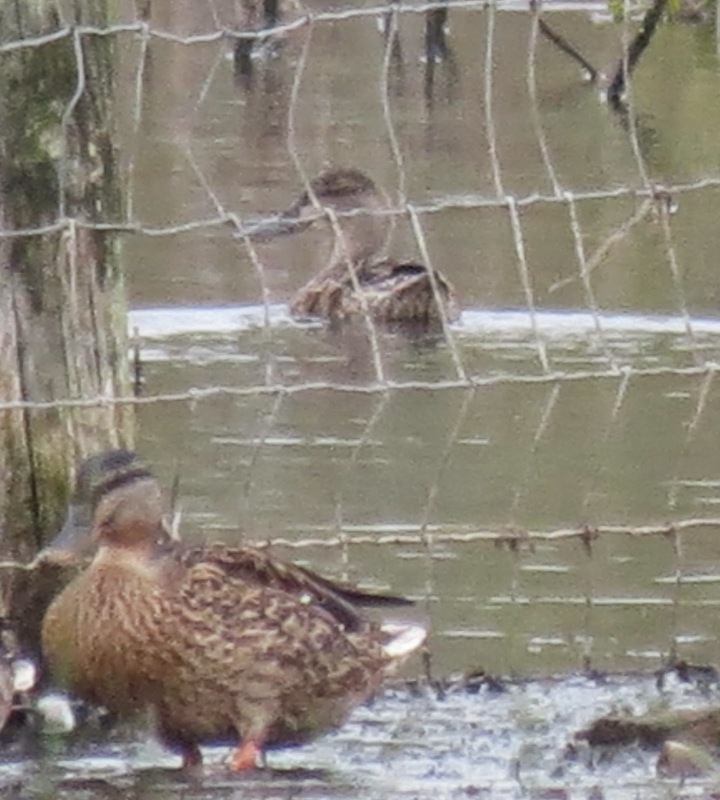 It didn't take long to relocate the bird, as it was feeding on mud on the south shore with Mallard. 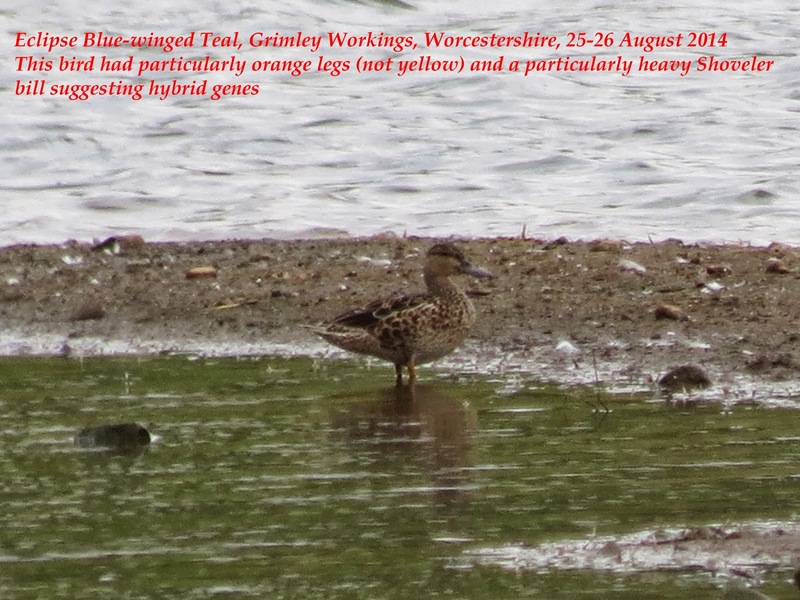 I was immediately struck by the bill size and shape and a number of plumage anomalies, the bird bringing back instant memories of the last Blue-winged Teal I successfully twitched in the Midlands - at Daventry Reservoir (Northamptonshire). I took a number of shots of the bird from my position on the north shore but they were distant and grainy, so I then decided to carry on and walk right round. 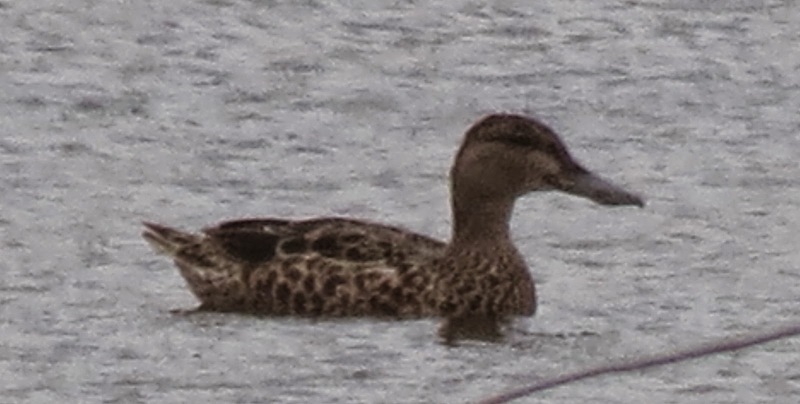 Relocating it there, it soon became apparent that this was a hybrid, almost certainly a Blue-winged Teal x Northern Shoveler - certainly on size. The bird kept moving away in front of me and back towards the crowd at the far end but eventually I managed to get some reasonably decent shots of it (see below). 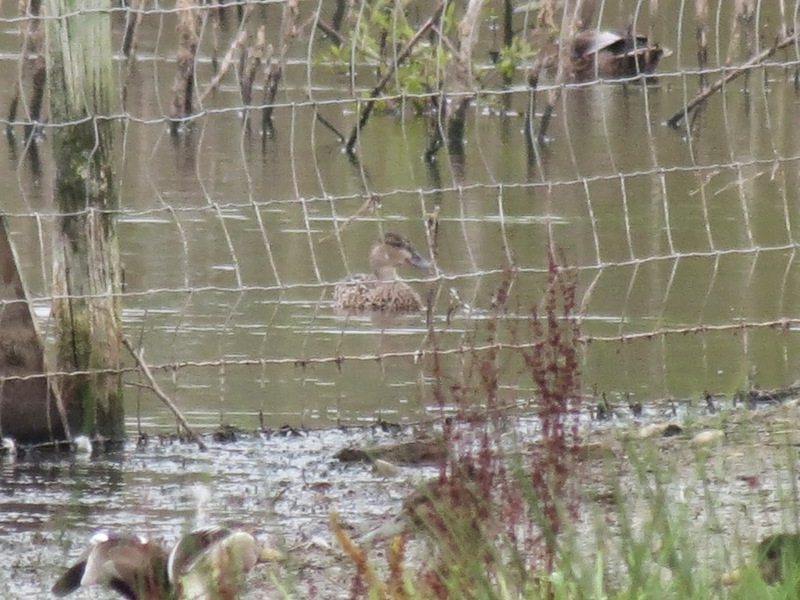 As soon as I realised it was a hybrid (between Blue-winged Teal and Northern Shoveler), I informed RBA and attempted repeatedly to contact Steve Whitehouse (Birdline Midlands) but he was out of phone reception in the Forest of Dean. 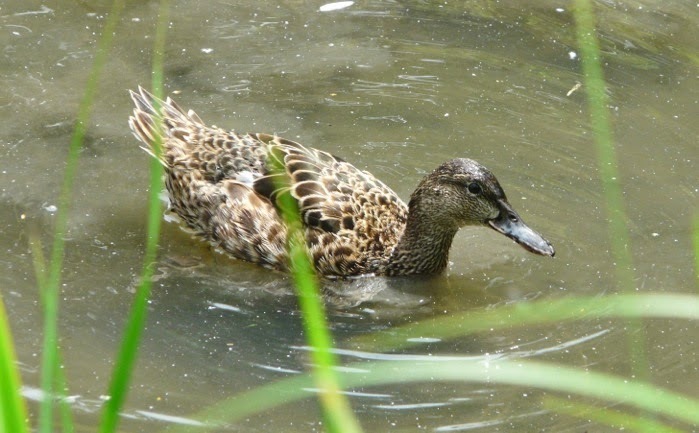 Blue-winged Teals and Shovelers seem to hybridise quite freely proving that they are extremely closely related and there have been several cases of mixed pairings in this country (including a female that nested successfully in Cambridgeshire for a number of years). I gradually coerced the Teal into flying back towards the crowd, where it landed in good view in front of them. I then walked back and informed them of my beliefs but few of them seemed interested and were intent in calling it a 'Blue-winged Teal'. Once home, I sent my images to Chris Heard and Keith Vinicombe, both agreeing with my synopsis. 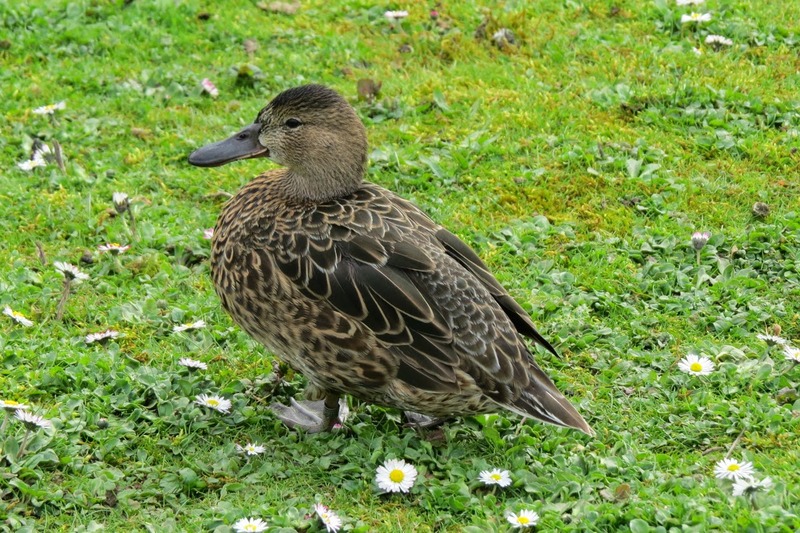 ''Lee, well, if I saw this at Chew I would probably have overlooked it as a Shoveler! The bill looks huge. The only thing that looks slightly odd to me are the noticeably paler lores and the paler eye-ring. In the second photo, the facial pattern and facial expression are certainly very reminiscent of BWT.But, bearing in mind that all species vary individually, I wouldn't even like to say for sure from these photos that it's a hybrid. 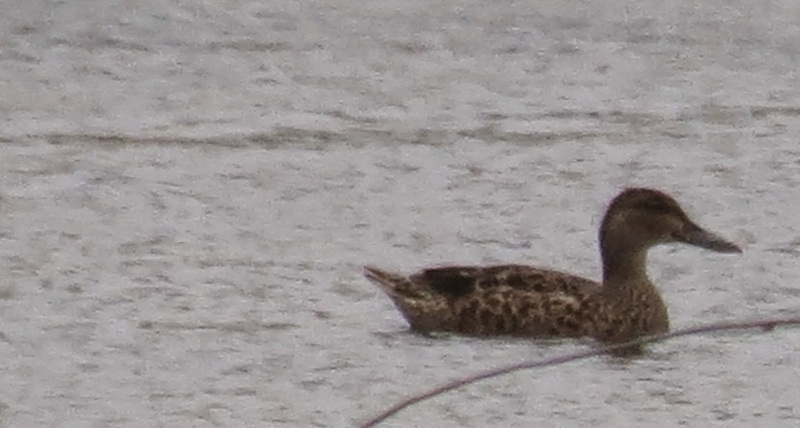 If it is a hybrid, then of course Shoveler x BWT or Shoveler x Cinnamon Teal would be the obvious options - but I would have thought that a hybrid would have been obviously on the small side compared with Shoveler. 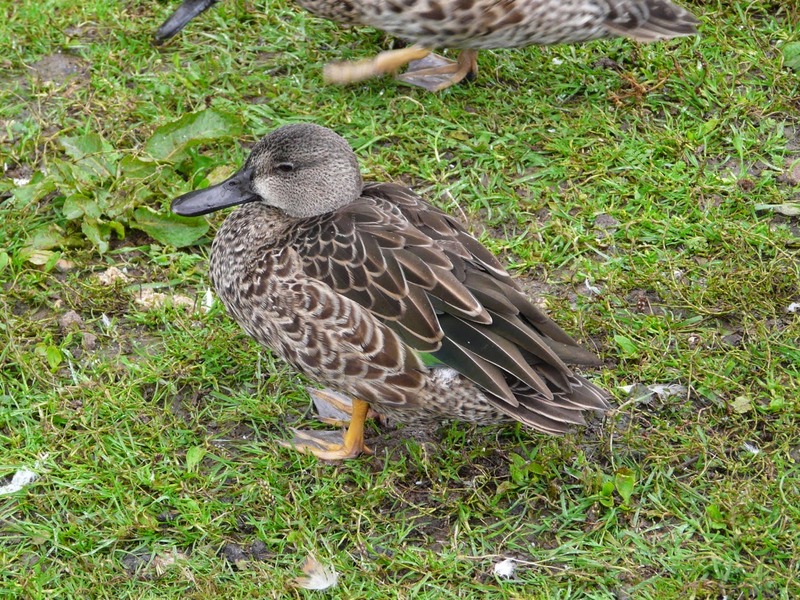 Of course this is easier to judge in the field in comparison with other ducks. It's certainly not a pure-bred BWT''.